Make this protein-packed canned tuna recipe for an easy post workout lunch or light dinner. 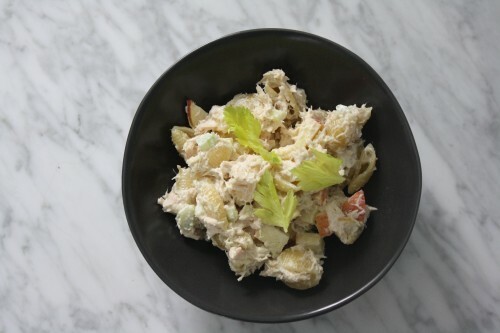 In a large bowl combine tuna, celery, apple, lemon juice and mayo; season with salt and mix well to combine. Toss prepared tuna with cooked pasta. This looks good but sounds very bland. How would you spice it up a little. We like flavor!